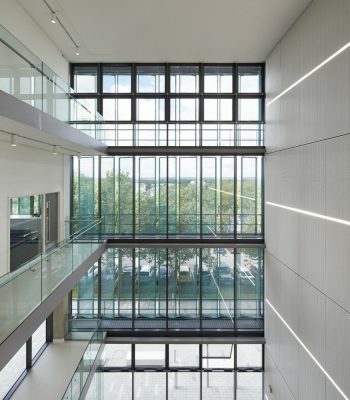 The assertive and precise architectural language is a marker of ambition for the campus’s future whilst supplying state-of-the art laboratory facilities for its present. 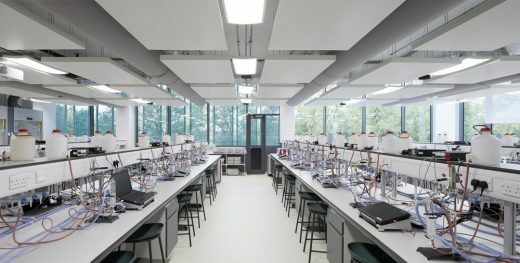 Work is complete on the 9,000 sqm Sheppard Robson-designed New Science Building, which occupies a prominent site at the heart of the University of Hertfordshire’s College Lane Campus, Hatfield. 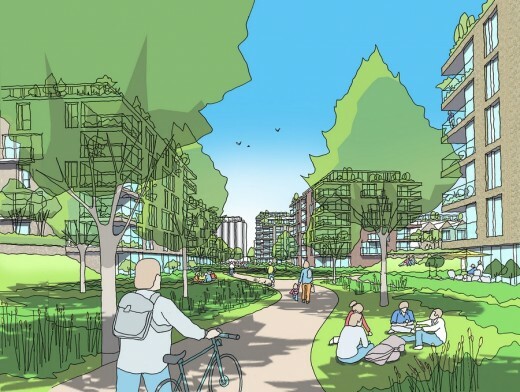 A major element of the university’s 2020 Vision, the building has been designed as a simple orthogonal structure that is derived from the cellular grid of the flexible laboratory spaces within. 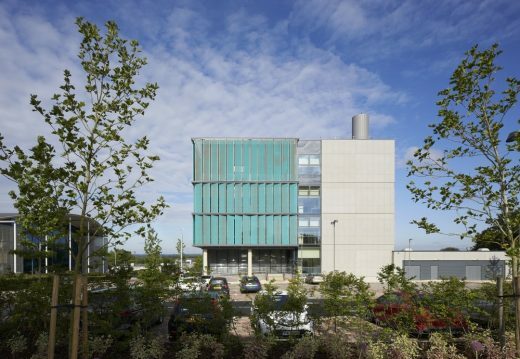 Further animating the façade, the fins change direction depending on the type of internal space, with the lab areas ranging from 300 sqm teaching spaces to more focused, specialist environments. 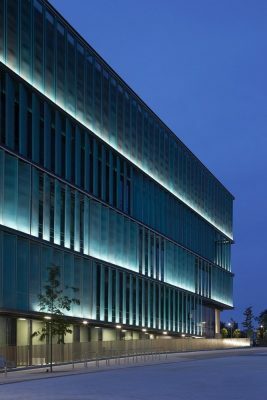 This is a subtle variation, but when the building is viewed in bright conditions or illuminated at night, it brings a richness of depth and variation to the façade. 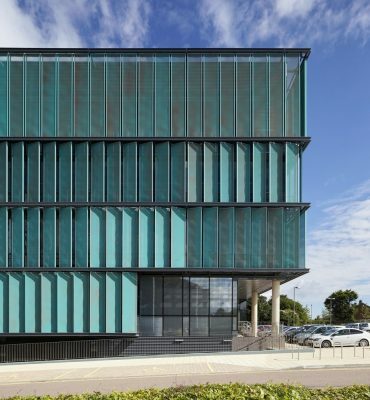 The entrance and outdoor terrace are also punctuated by a copper mesh that is encased in glass; this maintains the rich colour of the material which creates a dialogue with the patinated copper-coloured cladding that characterises the exterior of the building. A feeling of robustness and quality also runs through the internal spaces. The building’s main atrium has large expanses of exposed concrete, with drama added to the main circulation space – which includes a café – through a steel cantilevered staircase.